When he first started out, Williams played in regional bands but also performed as a solo artist, “me sitting on a stool playing covers, like a happy hour situation,” he says. “I’d get dinner and maybe tips. There were bands in high school and in college. But it turned out I could get the same money playing solo that I was getting with the band. Around that time I was also doing temporary jobs and I was making the same amount playing music as I was scraping mortar out of the cracks of cinder block walls for eight hours in the summertime at minimum wage. So it seemed like the obvious choice was to play music. I started to work and over the years I incorporated more technology. The looping thing started to happen and tickets were sold and people came to shows, so there wasn’t any reason to fix something that wasn’t broken.”What Williams calls “the looping thing” is actually a big part of what has made him such a compelling live performer. “Basically, I have these machines that are essentially delay units,” he explains. “What I do is step on a button and sing or play something. Then I step on the same button in time and it repeats what I just played or sang. Once that initial loop is created, I can layer on a bass line or a drum line and then have this layer that I just created in front of an audience that I could sing over and solo over. Nothing is pre-recorded. Everything is created onstage in front of the audience.” If it sounds complicated, it is: but the basic thrust is that the technology has allowed Williams to go out on tour week after week, year after year, and play music by himself—without limiting his sound to what we most often associate with the solo singer-songwriter: a guy strumming a guitar and singing. With his arsenal of tech toys, Williams can expand his reach onstage by, in essence, jamming with himself. The summer of 2010 found Keller sharing a bus with two of his biggest heroes, former Grateful Dead drummers Bill Kreutzmann and Mickey Hart, as a member of their powerhouse assemblage the Rhythm Devils. “That was a very surreal experience,” Williams says. “We rehearsed for a few days and then we were on a bus with 12 people, two of them being the original drummers from the Grateful Dead.” On that tour, Williams was put in the enviable position of singing many songs from the Grateful Dead catalog for audiences that loved every minute of it. Inspired by this experience and his admiration for The Grateful Dead, Keller added two Grateful Dead projects to his repertoire: Grateful Grass and Grateful Gospel. 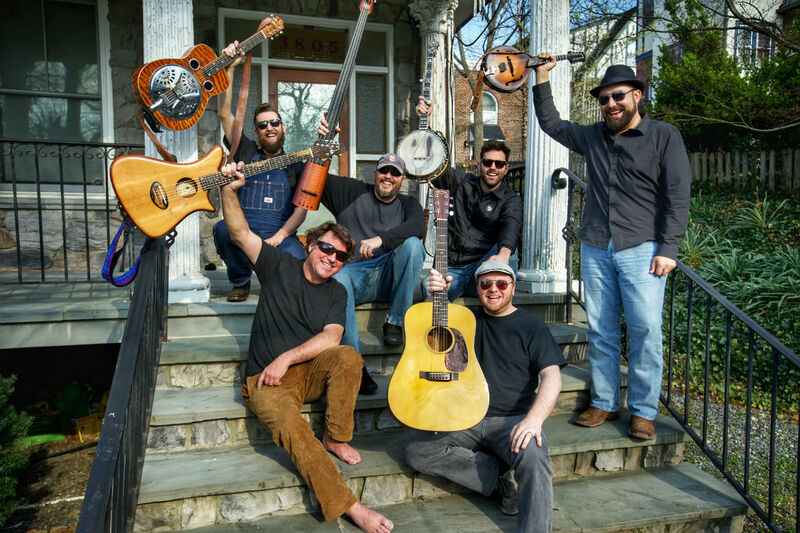 With an ever revolving cast of Jam, Bluegrass, and Gospel musicians, Grateful Grass and Grateful Gospel have become fan favorites and festival staples. Keller’s Grateful Grass tunes can be heard on two live digital releases, REX and DOS. Keller’s guests on these recordings include: Jeff Austin (Jeff Austin Band), Keith Moseley (String Cheese Incident), Michael Kang (String Cheese Incident), Reed Mathis (Tea Leaf Green), The Keels and many more. Following the Grateful Dead theme, keller also released KEYS, a digital only release on which Keller is at the piano singing a collection of Dead tunes. All three of these releases donate proceeds to the Grateful Dead’s Rex Foundation. Williams has also toured as part of a string trio with fellow Virginians, singer/guitarist Larry Keel and his wife, singer/bassist Jenny Keel, dubbed Keller and the Keels. You can find them hitting key stops on the bluegrass festival circuit playing songs from their two releases GRASS AND THIEF.